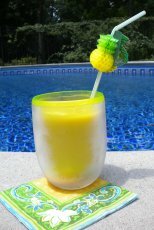 Solid or Mesh Pool Covers for your Inground Pool? Solid and mesh pool covers provide a break from pool maintenance in the fall, winter and spring. There are several big differences in the two styles. Find out the benefits and disadvantages of them here. The advantages of solid pool covers are that they keep out all leaves and debris, they help to retain the chemical balance of the pool, and because they block 100% of UV light, they prevent algae from growing. When it's time to open the pool, there will be less chemicals to add. √ They are much heavier than the mesh cover and more difficult to handle. √ They become more brittle faster. 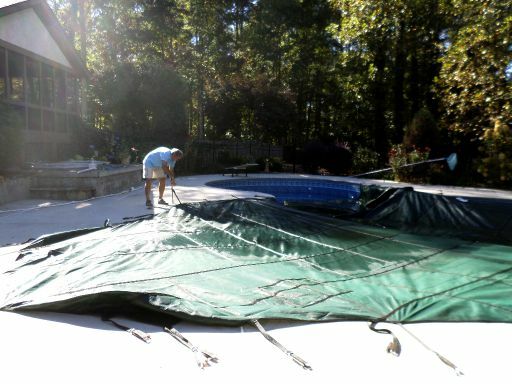 One of the pool contractors that provided us with an estimate stated that the constant exposure to sun and harsh weather can cause these covers to become brittle. A solid cover will also cost a couple hundred dollars more than a mesh cover. If you choose a solid cover without a drain then you must have a pool cover pump. Melting snow and rain can accumulate on top of the cover making it a safety hazard. Removing standing water also helps to prevent this water from going into your pool and contaminating it by changing the chemical balance. The pump removes any water that collects on top of the cover. These covers can be purchased on line and installed by the owner or they can be installed by a pool professional. Mesh swimming pool covers can weigh 1/2 of what a solid cover weighs, making it easier to handle in the fall and spring. 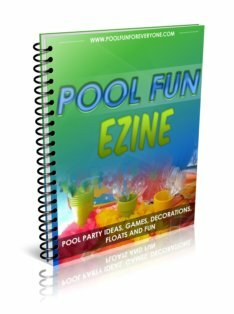 They can cost several hundred dollars less than a solid pool cover making it more affordable. 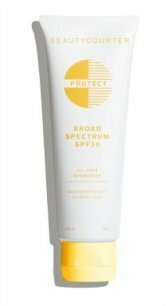 The tighter weave prevents even finer debris from getting into the pool. Even better, some offer over 95% UV block thanks to this new design. Blocking UV light prevents algae from growing so that when the cover is removed, your pool looks fresh and clean. Inground swimming pool covers typically measure 2 feet longer and wider than your pool size. Standing water accumulates on the tops of pool covers which presents a safety hazard for children or small animals. I was surprised to find out that some mesh covers can also be considered a safety cover. A safety cover allows the water to drain through to prevent standing water on top of the cover which prevents any drowning accidents. Loop Loc Pool Covers offer mesh swimming pool covers. In addition to their solid pool cover, they have mesh covers that are considered a pool safety cover. The covers not only meet, but they exceed the American Society for Testing and Materials (ASTM) standards for Safety Swimming Pools Covers F 1346-91. All LOOP-LOC covers have undergone extensive outside testing through Underwriters Laboratories (U.L.) and have earned the U.L. seal of approval for safety swimming pool covers. If you have a standard size pool it is possible to purchase standard size pool covers that are ready made, in stock and ready to ship. There are two ways to get discount pool covers. 1. Measure and order the cover from an online cover manufacturer and install the cover yourself. This one by Yard Guard is made in the United States and offers a 15 year warranty. If you own a rectangular shaped pool with centered end steps you can order and install your own pool cover. You do need to do your own measuring and drill your own holes into the cement for the anchors. All the straps and anchors come with your purchase. 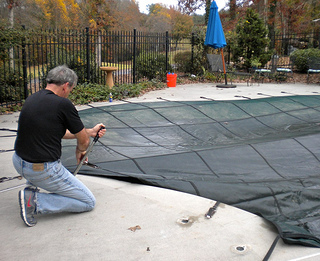 This inground pool cover offers a micro-mesh fabric that allows water to pass through the cover. Using a mesh pool cover reduces chemical consumption and keeps your pool water clean. While not the quality fabric of the anchored system, the Blue Mesh cover offers an affordable option for those who want to spend less money. This option is again for those who have a rectangular shaped pool so there are many different sizes to chose from. Be sure to order the water tubes as well since they come separately. Custom pool covers can be designed for any size or shape pool. Many people prefer to have a local company do this for them. However, it is possible to order your custom pool cover and install it yourself. At first my husband was tempted to try this route, but then decided against it. Accurately measuring our free form pool would be a challenge in itself. He also was concerned about drilling holes into the cement. It's no big deal when a picture nail is put in the wrong spot on a wall - but making a mistake and drilling a hole in the wrong spot in cement - not a good idea. Last year we closed our pool for the first time and did not have any pool cover. You can see what a mess it was last spring. This is the first winter with our new mesh pool cover. We also winterized the pool and had the lines blown so we have been pool maintenance free for several cold months and we are loving it.